THIS IS TRULY AMAZING! Within 5 minutes into the interview using logic, reason and intelligence President Assad totally and convincingly demolishes the LIE about his using chemical weapons on his own people. You really have to see this! 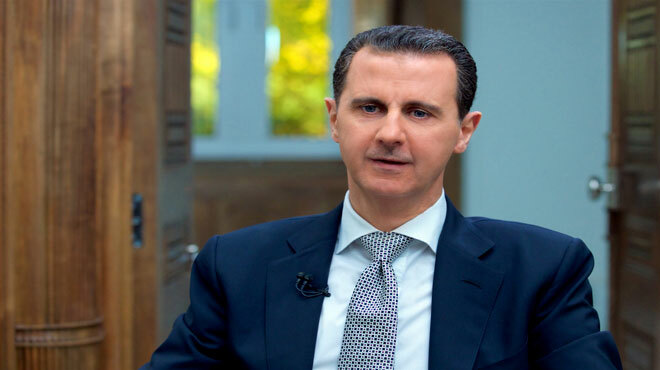 Damascus, SANA–President Bashar al-Assad gave an interview to AFP in which he said what happened in Khan Shaikhoun is a fabricated story, stressing that Syria does not possess a chemical arsenal and that even if it has such an arsenal, it will not use it. He made it clear that Syria can only allow any investigation in the Khan Sheikhoun incident when it’s impartial. The President said that the United States is not serious in achieving any political solution. He stressed that Syria’s firepower, our ability to attack the terrorists hasn’t been affected by this strike.